The big advantage to compact action cams like the GoPro is that they’re tiny enough to capture shots in places where regular cameras can’t fit. 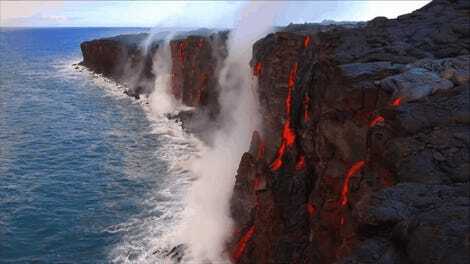 And as Hawaii volcano guide Erik Storm discovered, they’re also remarkably resilient, even to the point of surviving an 1,100+ degrees Fahrenheit lava flow. PetaPixel has the whole story of what happened to this GoPro, but long story short: Storm placed the tiny camera in a volcano crack to film an approaching lava flow, and then forgot it was there while talking to some tourists. 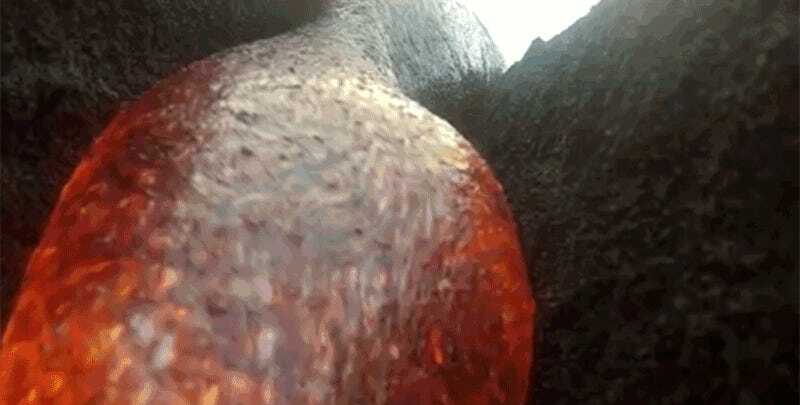 The molten rock eventually caught up to, and consumed, the GoPro, causing it to burst into flames. 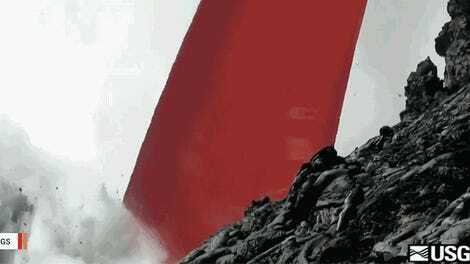 But surprisingly, after letting the melted mess cool, Storm found the camera was functional, and its SD card still had the footage of its up-close encounter with lava. 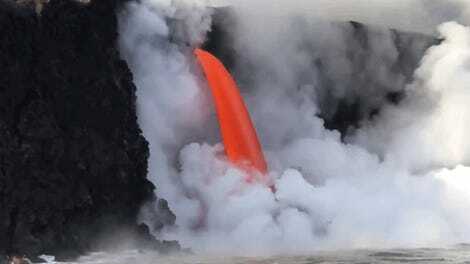 Have You Ever Really Looked at Lava Falling Into the Ocean?